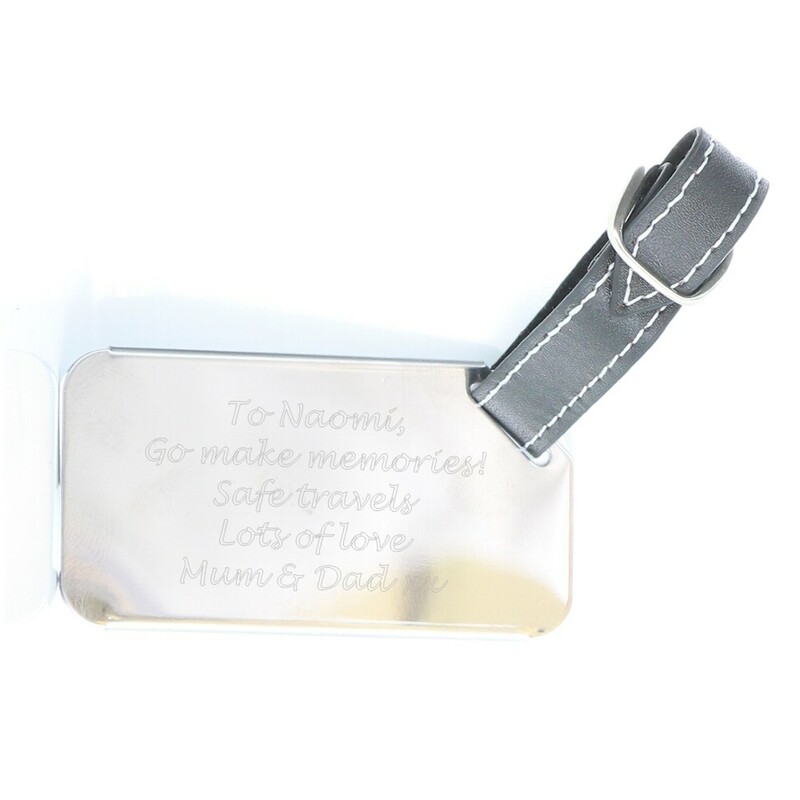 This unique luggage tag measures 80 x 42 x 5mm, it is silver in colour and on the front it has a space to show your name on the details card. Inside you can fill out all of your details. 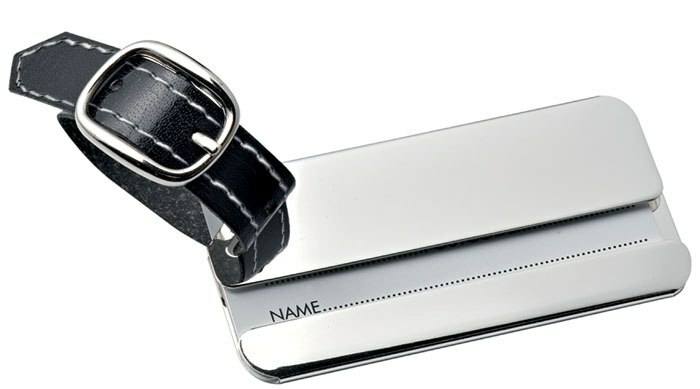 Your engraving will be done on the back of the luggage tag. 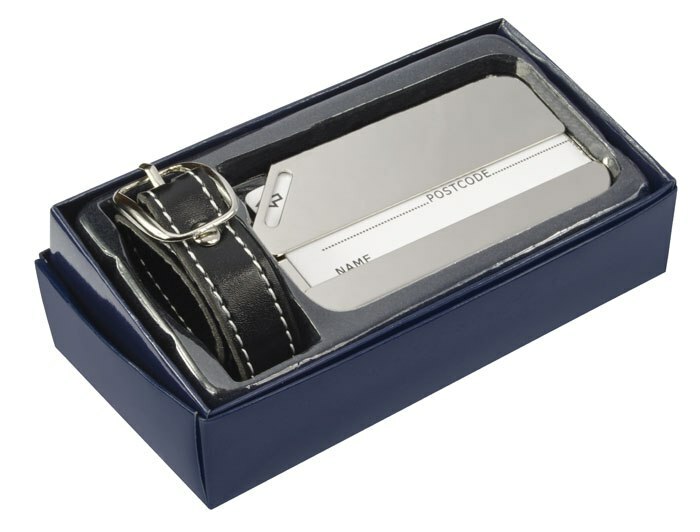 It has a black strap and buckle fastening. Ideal for people off on their travels, Birthday's, Anniversaries, Christmas, Retirements Gifts, Golf Addicts .....it's endless!